HARARE, Oct 27 2014 (IPS) - Zimbabwe has lost 12 billion dollars in illicit financial flows over the last three decades and experts say this illegal practice is perpetuating social inequalities and poverty in this southern African nation. A September report by the Zimbabwe Vulnerability Assessment Committee (ZIMVAC) estimates that 63 percent of Zimbabweans are poor, with 16 percent of the country’s 12.5 million people deemed extremely poor. While the number of extremely poor households in the country has reduced from 42.3 percent in 2001, Sydney Mhishi, a principal director in the Ministry of Labour and Social Welfare, told IPS that there is an overwhelming demand for cash transfers because of rising poverty and inequalities, mostly in rural areas. Inequalities are more widespread in rural areas — occurring in 76 percent of rural households compared to 38 percent of households in the urban areas. A majority of Zimbabwe’s people, some 7.7 million, live in rural areas. 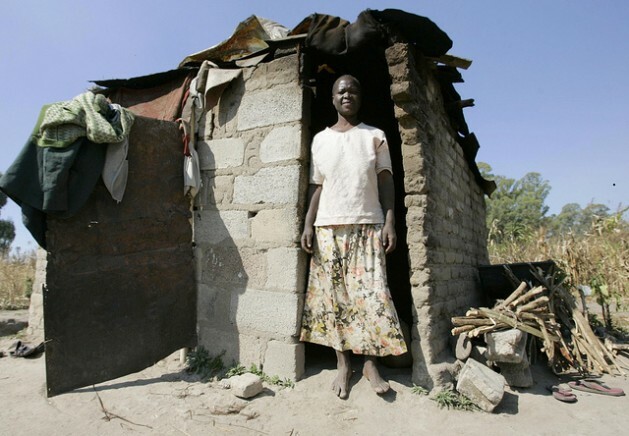 Nearly 200,000 to 250,000 households in Zimbabwe are classified as ultra poor. In 2013, about 55,000 households received up to 25 dollars in cash handouts every month from the government under the Harmonised Social Cash Transfer Programme. The government is supporting 20 percent of vulnerable and labour constrained households through the programme. “The demand for the cash transfers is more in depth in urban areas. In urban areas we have also started a mix of cash [transfers] as well as electronic transfers in poor suburbs like Epworth,” Mhishi said. A study conducted by the Institute of Development of Studies in 2013 and released last month, shows that poverty was increasingly taking on an urban face with levels higher than expected. Zimbabwe’s economy is in a fragile state subjugated by a liquidity crunch, funding constraints, and corruption, which has made the government struggle to raise revenue. And even though Zimbabwe has vast natural resources, the blessings of its natural wealth has not benefitted its people. The nation has of some of the largest diamond and platinum reserves in Africa and the world, and has over 40 exploitable minerals. All of this could potentially transform the lives of Zimbabwe’s citizens. But the valuation of the country’s mineral deposits, experts say, remains unknown because of the shadowy arrangements under which most Zimbabwean mines are being exploited. The Zimbabwe Environmental Law Association (ZELA) points to a dearth of transparency and accountability in the management of the Marange diamond mines. Minister of Finance Patrick Chinamasa said in December 2013, during his presentation of the 2014 national budget, that the government did not receive any diamond dividends in that year. According to ZELA, of the seven companies operating in the Marange diamond fields, only one has shown some modicum of transparency and accountability by publicly disclosing its diamond revenue. Janet Zhou, a programmes director with the Zimbabwe Coalition on Debt and Development, told IPS that her organisation has been campaigning for a tax justice system, which exhorts big companies in the extractive sector to pay their dues to the government to enhance revenue collection. “Illicit financial inflows cause inequalities because the government loses revenue that should in turn be redistributed to the poor through the trickle-down effect. The rich should pay taxes and subsidise the underprivileged so that they get access to social services,” Zhou said. Zimbabwe has been affected by illicit financial flows, as money is illegally transferred or utilised elsewhere usually through criminal activities, corruption, tax evasion, bribes and cross-border smuggling. Research conducted in August by the African Forum and Network on Debt and Development (Afrodad) and the Zimbabwe Economic Policy Analysis and Research Unit approximates that between 2009 and 2013, cash-strapped Zimbabwe lost 2,85 billion dollars through illicit financial flows in mining, fisheries, forestry and illegal safari activities. The illicit financial flows occurred mostly through under-invoicing by multinational companies and weak legal and institutional frameworks. Afrodad policy advisor Momodou Touray says illicit financial flows deprive governments of revenue that should be ploughed into public sector investment and poverty-reduction programmes. Zhou added that when the government failed to tap revenue from the rich, usually ordinary people become soft targets. Tafadzwa Chikumbu, an economic governance policy officer with Afrodad, agreed. “Illicit financial flows perpetuate inequality because they are fuelled by rich multinational corporations and rich individuals who have the capacity to do tax planning resulting in transfer mis-pricing and trade mis-invoicing. “So if the government fails to harness resources from them, it transfers the burden to weaker economic agents, who are the ordinary citizens,” he told IPS. Chikumbu said this was demonstrated in the country’s August mid-term fiscal statement, which introduced a raft of tax measures targeted at raising revenue principally from ordinary tax payers.